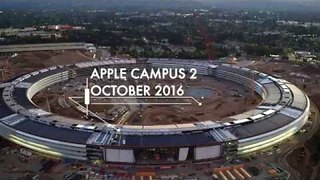 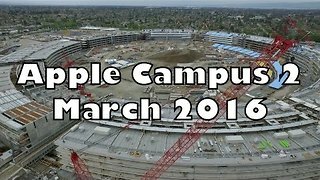 Rumble - Drone pilot Duncan Sinfield captured the latest in construction on Apple Campus 2 in California. 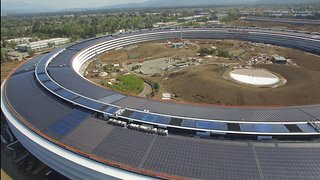 Construction updates have included the near completion of two large garages, the auditorium and parking tunnels; as well as the installation of massive glass windows and solar panels, that are going to take several months to complete. 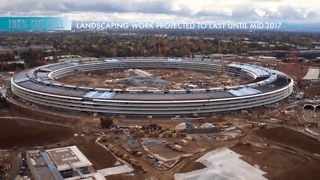 Building is expected to be finished by the end of 2016. 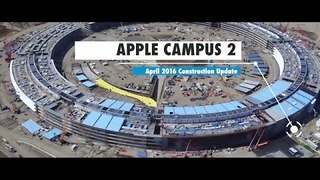 It is hoped employees will be in place by early 2017.